Yes I’m totally killing the keywords and title with Star Wars but that’s executive power here in What’s a Geek. 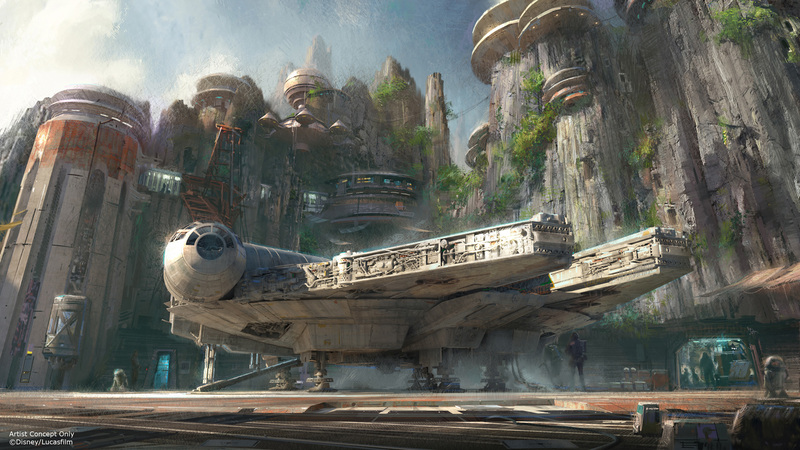 Anyway, rather than just say and report that Disney has announced a new Star Wars World (or Star Wars Land) I’m going crazy with concepts that should definitely be in this new theme park. 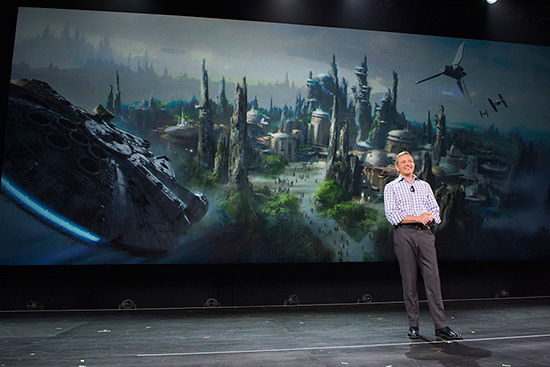 By the way, we totally just did report that Disney will be having a new Star Wars theme park right here. Oops. So let’s admit that this has gotten our blood pumping to visit Disneyland again, something that we’ve forgotten or added to our bucket list. Our generation has grown up and Disney World isn’t so high up in our priorities and I think Disney recognizes that, which is why they’ve started on this ambitious project. Anyway, lets get on with the list which you may or may not agree with. So imagine taking that classic “It’s a Small World” ride but rather than hearing the classic song, we get John Williams blasting a classic. I don’t know about you but I would totally cry if I get to ride this, then we get a “refresher course” on the entire saga leading up to Episode IX. If that doesn’t get you, how about a First Order/ Galactic Empire version with, you guessed it, the Imperial March. Even that will send shivers down my spine as a Star Wars fan. 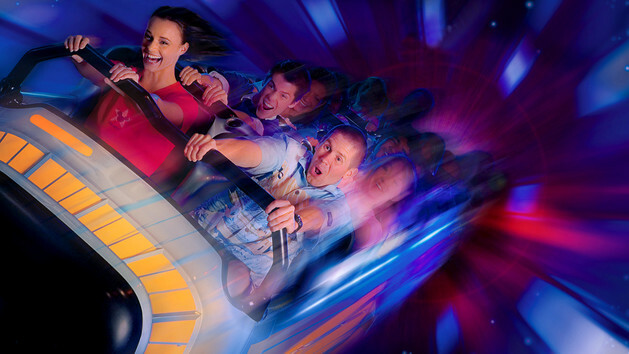 RIP Michael Jackson and your Captain EO stuff but this is Star Wars we’re talking about and it since this is a 4D-esque ride, we badly need to hitch a ride onboard the Millennium Falcon. We really don’t care what particular part as long as its from one of the many scenes involving the ‘flying junk’. Personally I would go for that daring escape from an exploding Death Star II but that chase scene between Han & Chewie against Captain Phasma sure looks like the stuff of winners. Or, you know, we could do the Kessel Run in under 12 parsecs. 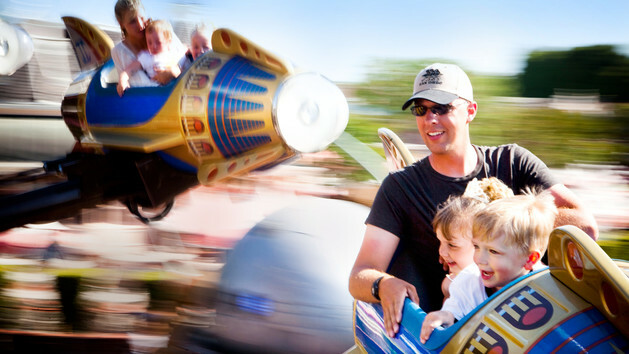 Take the mechanics and feel of the Disneyland ride “Astro Orbitor” and replace it with something like a *shudder* Podracer and you got yourself an all-ages ride. You’d think I forget about Star Tours did you? Well I’m envisioning Star Tours as a totally original story with either Luke Skywalker, Anakin Skywalker or even new rogue pilot Poe Dameron (Oscar Isaac) being the POV character. We don’t want rehashed, we already have Captain EO, we want something new. At the very least Disney could give Hayden Christensen money. DON’T MISS: Star Wars Spin-Off Title and Star revealed! I bet you’re seeing the similarity between each “fantasy ride”, trust me that thought didn’t escape me. But it’s still the experience plus the branding and the exhilaration that makes the compelling argument as to why these rides need to be in Star Wars Land/ Star Wars World. 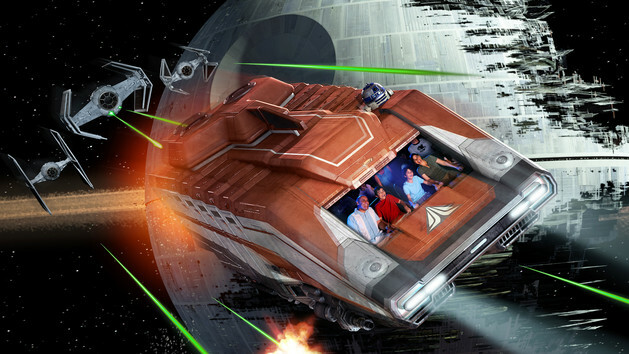 Anyway, for Space Mountain, turn the NASA theme into a Galactic Empire theme and have parkgoers ride Darth Vader’s TIE-Fighter / TIE Interceptor as it chases Rebels across the galaxy. Pass those loops as hyperdrive and we got ourselves a winner. With that said, who’s coming with us to Disneyland when the Star Wars theme park opens?